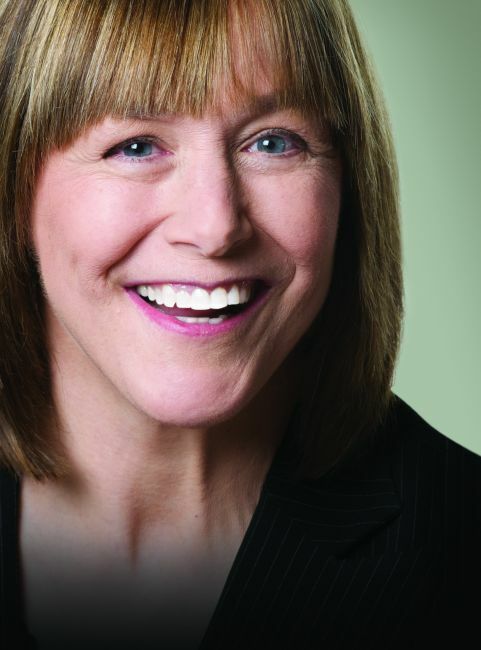 Geri Jewell, comedienne, actress, motivational speaker and LGBT activist, is slated to return to West Virginia Northern Community College in October, this time for two performances, as part of the college’s commemoration of Disabilities Awareness Month. A week-long observance will be highlighted by Jewell’s presentations at noon and 7 p.m. on Wednesday, Oct. 14, in the B&O Building auditorium on the Wheeling campus, 1704 Market St. downtown. Disabilities Awareness Month activities, all free and open to the public, are supported by funds received by Northern as part of the competitive Diversity for Equity grant program through the West Virginia Higher Education Policy Commission and the West Virginia Community and Technical College System. Jewell’s return to Wheeling comes on the heels of a glowing reception she received for her role in last year’s event at Northern. Jewell, who has cerebral palsy, will discuss “Valuing Diversity and Celebrating Abilities in the Workforce” during the noon presentation that will focus on inclusion and diversity. During her second performance, at 7 p.m., Geri will speak candidly about her own sexuality and on issues facing the lesbian, gay, bisexual, transgendered and questioning community. Her humor will be in evidence as well. Jewell is best known as Cousin Geri on the NBC sitcom “The Facts of Life,” now playing in reruns on several cable television networks. She was the first person with a disability to have a regular role on a prime time series. She began her career doing stand-up comedy at the Comedy Store in 1978. In 1980 she performed at the 2nd Annual Media Access Awards, where she was introduced to television impresario Norman Lear who selected her for the sitcom. In April of 2011, she released her autobiography, “I’m Walking as Straight as I Can: Transcending Disability in Hollywood and Beyond.” Not only does she write about her journey as a person with a disability but for the first time discusses her struggles with her sexual identity throughout the years. Her book will be available for sale at the events. When Geri is not working in television, she is a highly sought after motivational speaker and trainer in the areas of diversity, disability and LGBTQ issues. Her training has taken her to such companies as Hewlett Packard, Master Foods, Johnson Wax, AT&T, Amgen, Mass Mutual, and Raytheon. She also has trained such government agencies as the C.I.A., the U.S. Treasury Department, Defense Intelligence Agency and the U.S. Army. Other activities highlighting disabilities issues include the following: From noon-1 p.m. on Monday, Oct. 12, Dr. Michael Marshall will discuss “Current Trends in College Mental Health,” in the Student Union/Barnes and Noble bookstore building, Wheeling campus; Tuesday, Oct. 13, from noon-1 p.m., B&O Building auditorium, a discussion of services available through the West Virginia Division of Rehabilitation Services, WorkForce West Virginia, Veterans Assistance and Job Services; and on Thursday, Oct. 15, from noon-1 p.m., B&O Building auditorium, Dr. Robin Muir will speak on “Stress Management” using hypnosis.